Are you paid a salary without receiving additional compensation for working over 8 hours per day or 40 hours per week? Do you receive a 30 minute uninterrupted meal break every day? Do you feel you are being paid unfairly at work? Did you loose your job for reasons that are not justified? Have you been discharged or discriminated against for complaining about issues that effect your work environment? 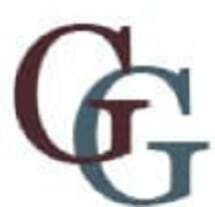 At Gigliotti & Gigliotti we can help you understand your rights and recover compensation for the wrongful conduct of your employer. Our labor law attorneys have in excess of 20 years of experience representing employees and professionals regarding employment matters, with an emphasis on wage and hour overtime claims. We offer straightforward legal representation and responsive service. Contact a Lake Forest employee rights lawyer at our firm today for a free initial telephone consultation to discuss your potential case. In addition, we handle employer defense work.